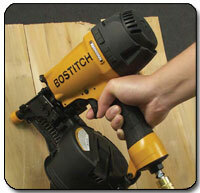 Nail down siding in no time with the powerful, precise Bostitch N66C-1 Coil Siding Nailer. This lightweight tool features a aluminum housing that makes it durable enough to repeatedly withstand the rigors of all-day use. And with adjustable nail depth and a soft rubber foot, you can work with a range of siding materials, including soft woods. 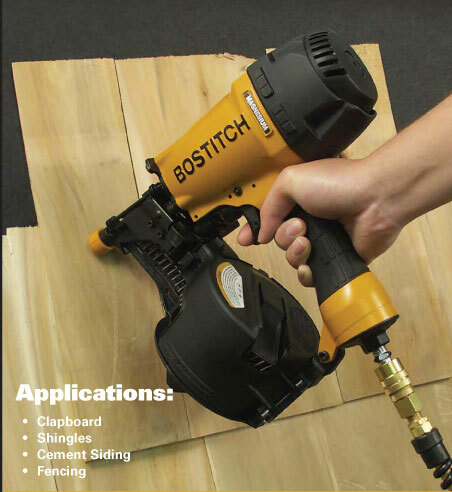 The N66C-1 Siding Nailer works with any air compressor and has a tool-free adjustable exhaust that directs spent air away from you when you're working. All-day siding jobs are easier on your hands thanks to lightweight magnesium housing. View larger. 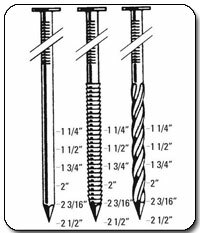 Accepts both wire-weld and plastic-inserted coil nails from 1.25" to 2.5". View larger. Pretty much no matter what type of siding you're working with, the N66C-1 will take care of the job. 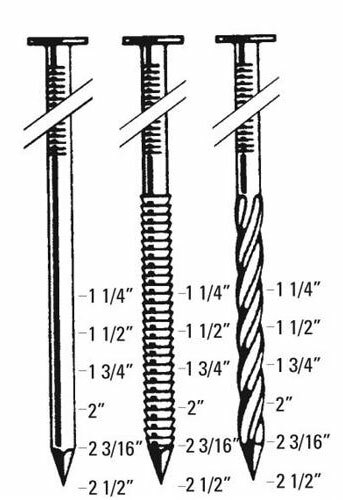 This nailer accepts both wire-weld and plastic-inserted coil nails and includes a soft rubber foot that's perfect for working with soft wood. Additionally, the N66C-1 can handle the tough stuff: cement, clapboard, fencing, and even light-gauge steel are no problem. Finish the job without breaking a sweat. The N66C-1 Siding Nailer is constructed with aluminum, which means it is light enough to wield all day. 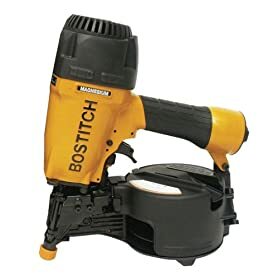 Measuring just 3.25 x 12 x 11.25 inches (WxHxL) and weighing just 4.9 pounds, this nailer is still durable enough to withstand the wear and tear of any jobsite. The N66C-1 stores in its included protective carrying case when not in use. Siding nailer and carrying case.